The first one hundred days of the presidency of William Henry Harrison was unique. The last 70 days of his term in office, he was dead. He was succeeded by John Tyler (both Whigs) of ‘Tippecanoe and Tyler Too’ fame. Harrison was an Indian fighter and got his experience under Andrew Jackson, and that says a lot. Tyler would later support the South during the American Civil War. He delivered a rather lengthy inaugural address in the cold, wind and rain. He developed pneumonia and died about 30 days after he took office. His grandson Benjamin Harrison would serve as the 23rd President of the United States. On another note the phrase ‘In God We Trust’ appears for the first time on the face of the Presidential Dollar coin, instead of on the rim. My sister will be happy. Doing the restoration work on the Bureau (chest of drawers) required that I make some cuts in old veneer in order to add the repair pieces. 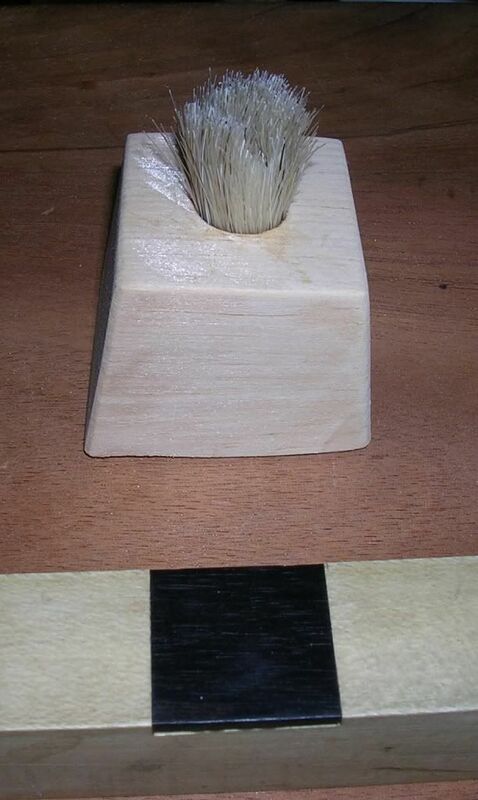 In some cases I have to remove enough veneer that I can harvest it and use it for repairs on more important locations. Because this veneer is so thick, on certain sections I must use two layers of new veneer to match the old thickness. But by carefully harvesting some of the old veneer I can use it to make repairs. At first I thought that maybe I could get some good veneer from under the glove boxes. But that didn’t happen. And I have run into this before, they didn’t waste any of the valuable hand sawn veneers. 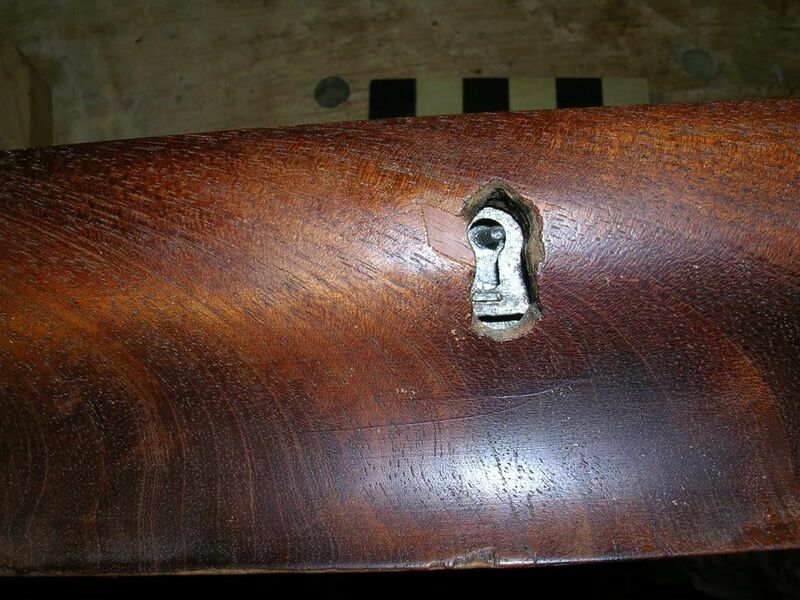 Each old piece of furniture I work is a learning experience and this one in particular leaves a lot of tool marks that allow me to determine what tools were used in the construction process. 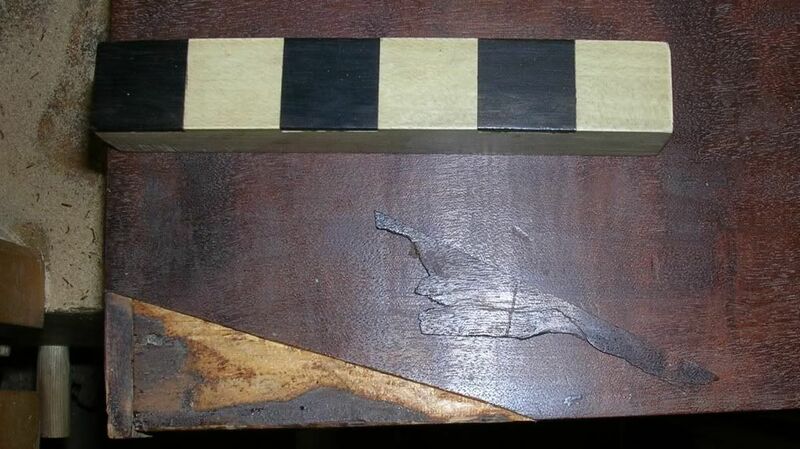 Just to the left of the gnomon are saw tooth marks from when the craftsman trimmed off the pins on the rear of this drawer. 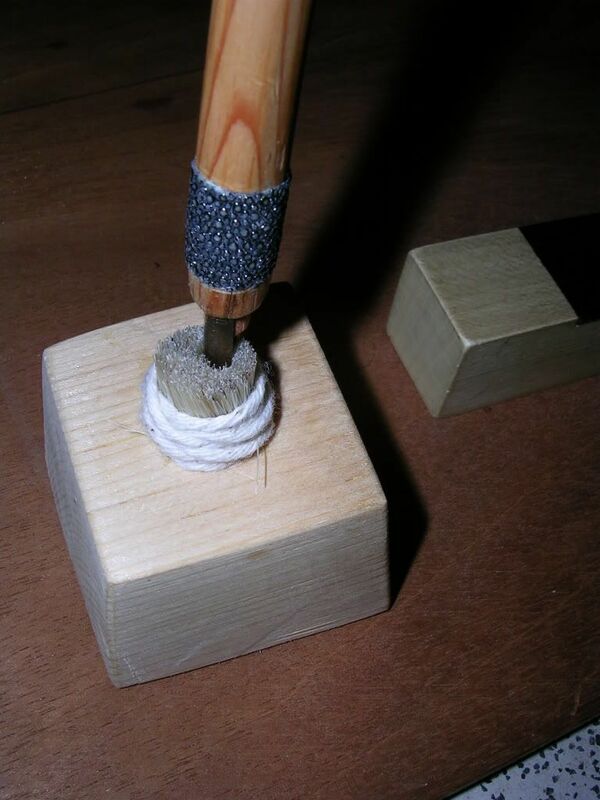 Then it was smoothed with a hand plane. And there are also interesting things not normally seen, like the bottom of the drawer. While it looks nice and smooth on the inside, the non-money side is rough as a cob. This a view of the inside of one of the two glove box drawers. 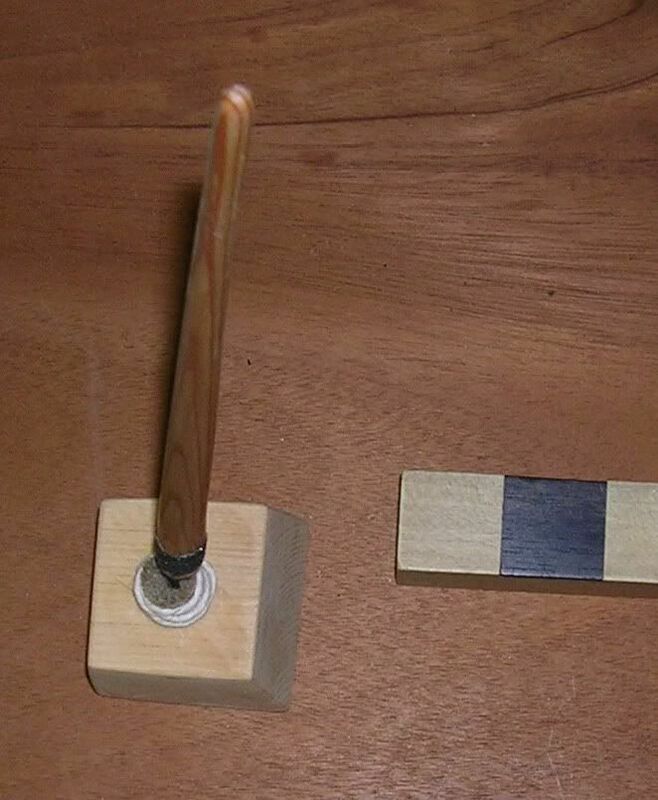 Kerfs for the half blind dovetails and lock mortise go beyond their marks. 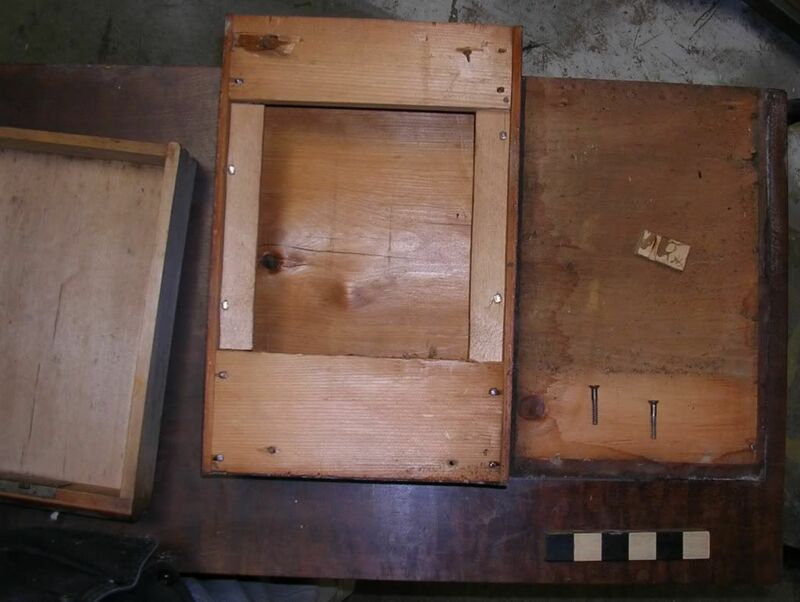 Also there are 4 holes provided in every half mortise lock, only two screws were used to fasten them to the drawers. I added in a small piece of veneer around the escutcheon hole. I will order replacement brass escutcheons for the two that are missing. I will do some filling work after the escutcheons are installed. Damage to the back of one of the glove boxes has salvageable veneer that I was able to harvest. 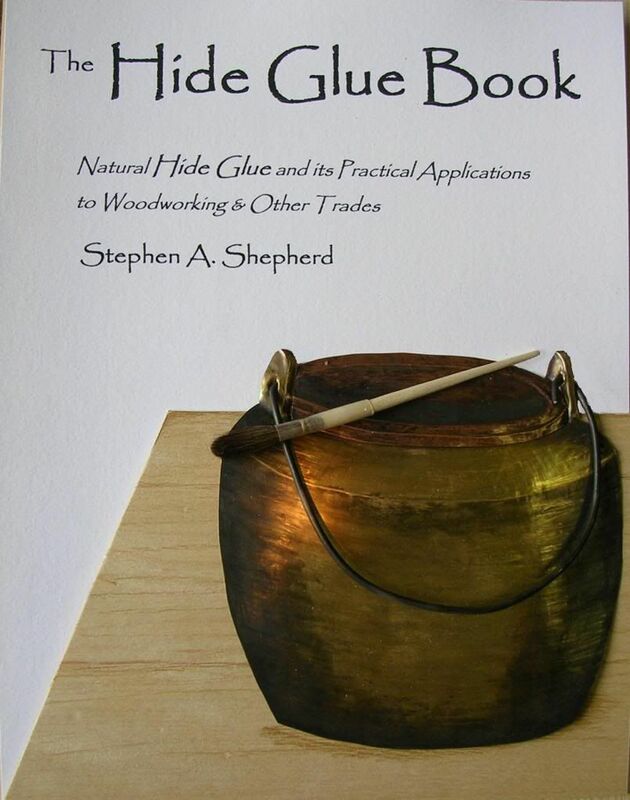 I used a straight edge and knife to make the cut, then heated up the veneer, which released the hide glue and allowed me go get a little bit of thick veneer. I will salvage some more from damage on the other glove box, but at some point I will need to replace what is missing which I will do with two layers of veneer to match the thickness. 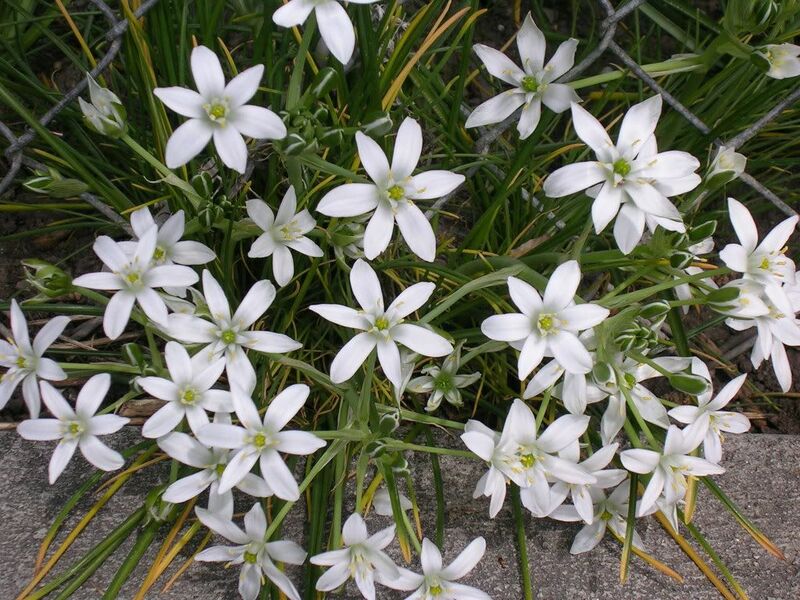 There is more to alchemy than bottles, flasks, beakers and torches. Here is an interesting engraving by Albert Durer c 1514 called ‘Melancholia’. I think just there to the left of the philosopher’s stone is a glue pot on a brazier. I have been enjoying this image, trying to find all of the tools. I believe there is a mortise gauge in her lap, behind the compasses. What is that to the upper left of the sphere, and is that a square between the horned smoother and sphere? I have started to put together my alchemistry set. Now, I had a fine Gilbert Chemistry set when I was in the 3rd grade at which point I achieved, after much scientific study and experimentation, my first detonation. A friend had an even larger set with a retort. Well, soon I will have my own Alembic. 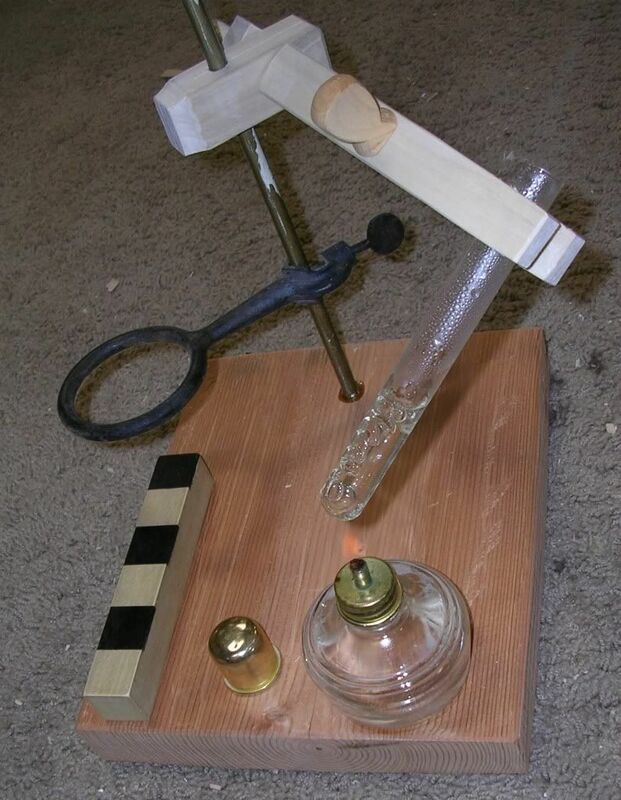 Based on a book of chemistry from 1856 here is my version of a ‘wooden retort holder’. This one is holding a glass test tube of water which is at boil from the spirit torch (lamp). I have two rings for my ring stand, this one and a larger one. 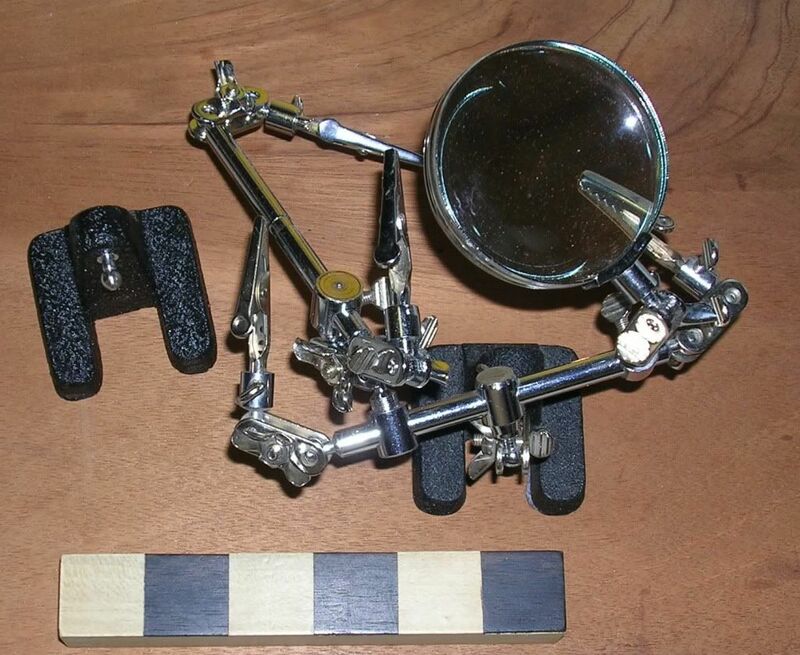 I have several other pieces of chemistry apparatus from the time period. 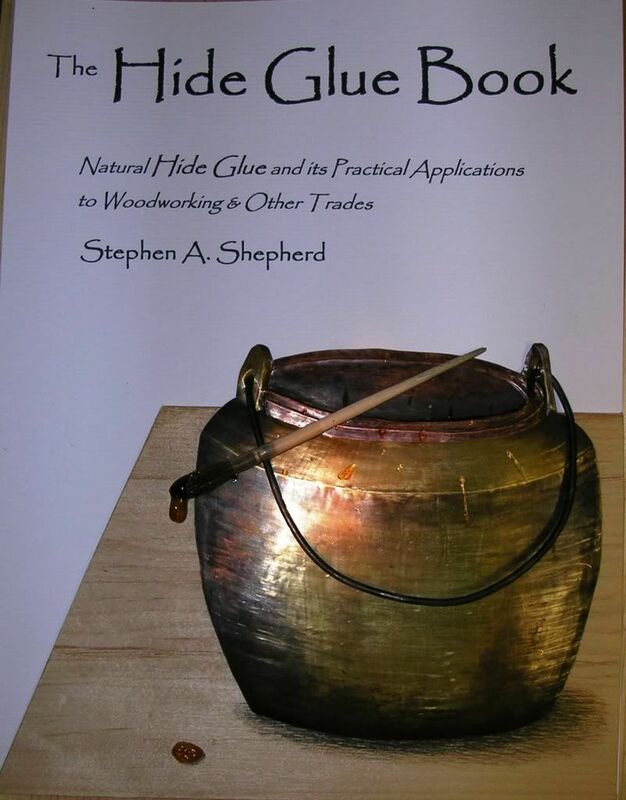 I have some nice crucibles one of which is dedicated to flake shellac to melt it and turn it into sticks for filling and mixing with other ingredients to make sealing wax. I can also safely boil small quantities of some raw linseed oil to make real boiled linseed oil. So now I just need to get about creating some philosopher’s stone and turn a bit of plumbago into gold. I took a picture of these crocus today. Now I just need to find some crocus powder. 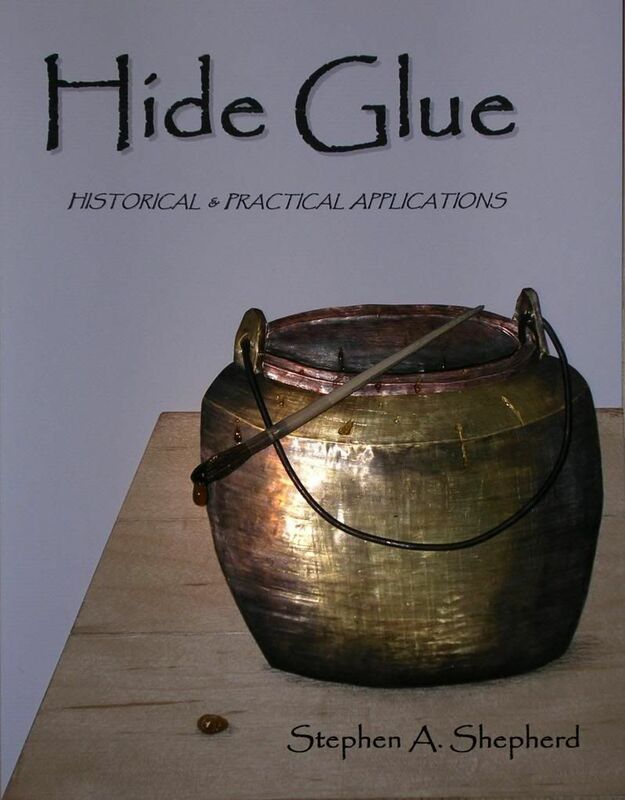 Hide Glue (Book) cover mock-up v.? I am not sure if everybody is happy, but I am. I will in fact have the photograph professionally shot as soon as I get approval here. So this is what I have come up with, after all of the suggestions. It is a composite of everyone’s ideas and comments and this is actually the first cover that I used software to put the name on the bench, other than that it is just a photograph. I am still open to suggestions. and here are a few. Last summer after talking about pens and ink with a woman, she asked me if I had ever seen one of these. 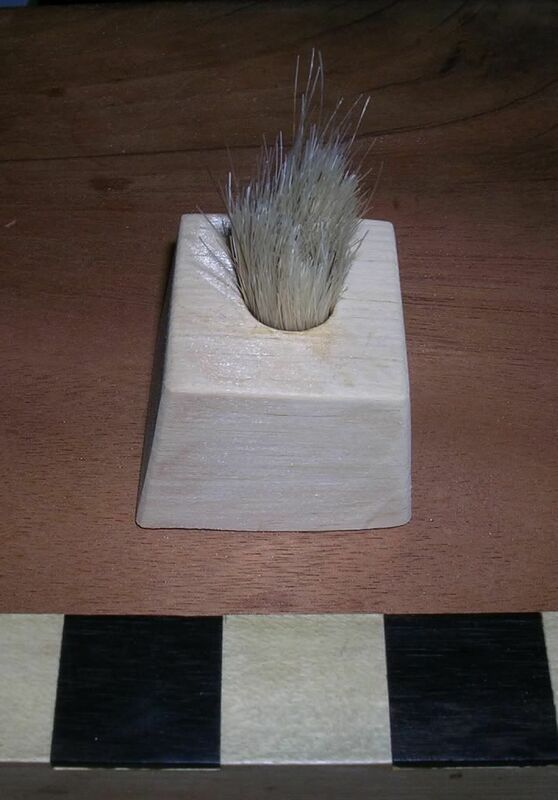 It is not a Pharaohs shaving brush. Maybe this will help. I borrowed an electric beard trimmer and did a bit of trimming. 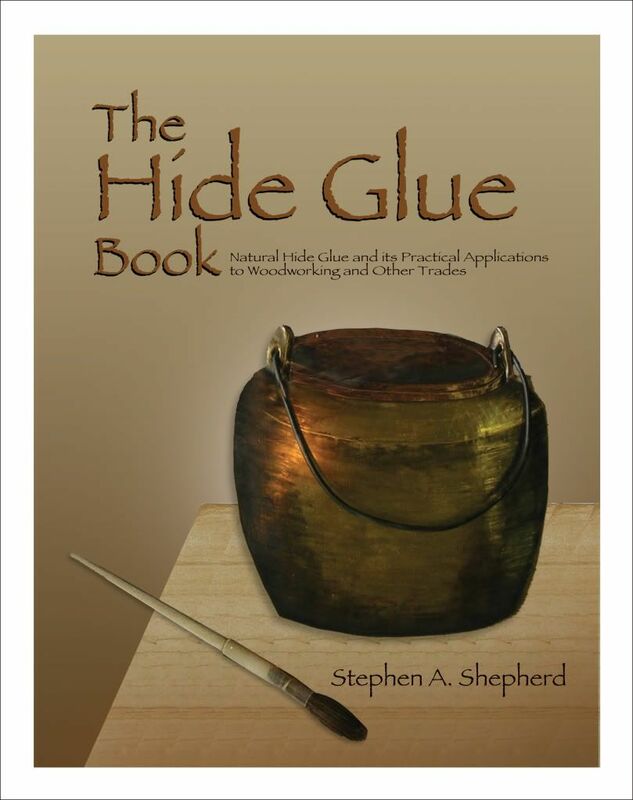 The horsehair is secured in the hole with hide glue. When I make another one I will make the hair much shorter so I won’t have to use a bridle on the horse hair. Figured out what it is yet? I don’t know if this is what it is suppose to look like, but from her description it was intended to both hold a writing pen and clean the tip at the same time. Last week I made the first in a series of hat stretchers to sell at the Park this summer. I needed one of these because my derby is a little tight, and no I am not getting a big head. While I was at the outdoor swap meet over the weekend, I picked up a half inch Jennings drill bit, a nice 1830’s glass creamer and one of these. 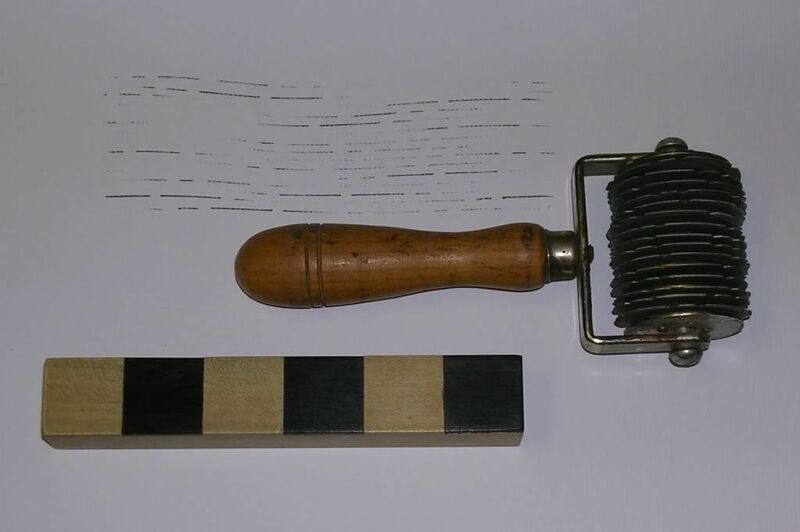 It is a checkering tool used for painting and graining. I already have a couple, a new one very similar to this one that I paid $45.00 for about 10 years ago. 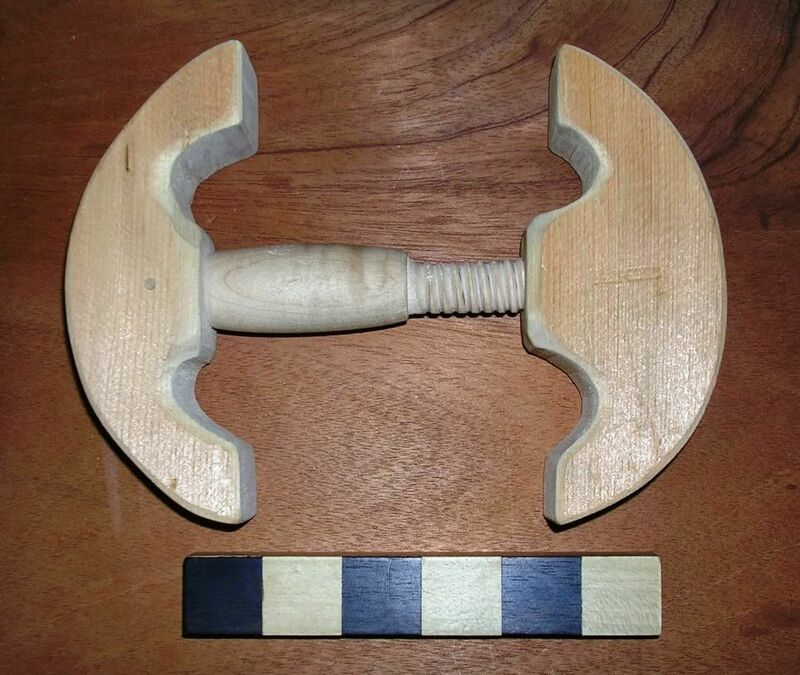 I also own an old English Checkering tool that I paid $150.00. (Sometimes I spend good money.) This one is unique in that the wheels are made of zinc. And I paid $2.00 for this one. Also be careful what you wish for! For a while I have wanted one of those third hands for holding pieces together in just the right place. Well, I picked up two of them, one with a magnifying glass and the other one was missing. So I put the two together and came up with this contraption. The Village Carpenter has tools that allow her to cut apart photographs and rearrange them. I am impressed and here is what she came up with. It actually has a white border that surrounds and frames the image. I like this, what do you think? Here is what I have come up with so far in order to add some depth. I know that not all people will understand what this cover means, but this is not going to be on any best seller list. I do like the suggestion of changing the sub-text, the text is easy to change. Let me know and the book is nearly ready for the printer. Here is the second iteration of the books cover. 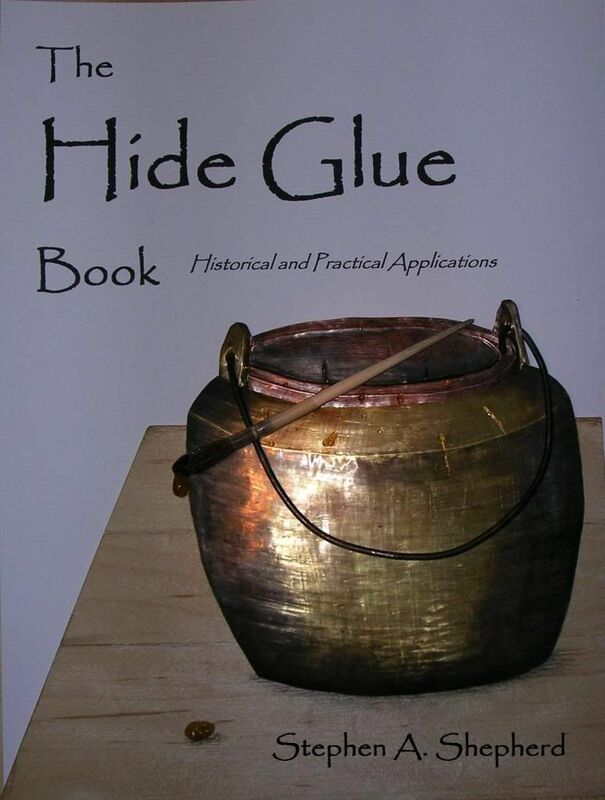 And I should tell you that it is a collage, the glue pot is made of thin brass, thin copper and a coat hanger. The glue brush is real with a foreshortened handle. I certainly appreciate all comments and suggestions.